Breathtaking scenery, ancient legends and home to the last king of Ireland: Come take a look at the ruggedly beautiful Tory Island and her unique legends and traditions. Lying 11km north off Donegal’s mainland this small remote sea soaked and wind battered island is home to about 150 inhabitants. People have lived on the island for more than 1500 years and today the islanders still hold tightly to their own unique traditions and way of life. 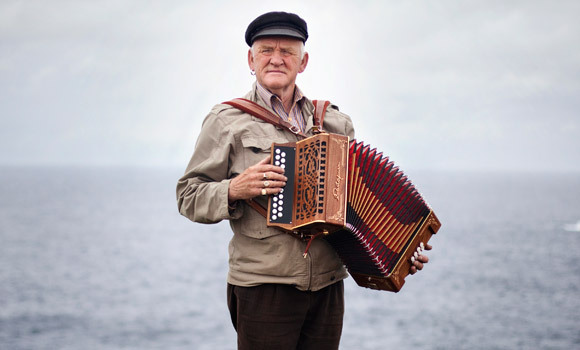 These traditions come through in their music, song and stories and they even have their own dialect of Gaelic. If you thought there was no more Kings in Ireland you’d be mistaken as the last one is alive and well and waiting to greet visitors to his kingdom! The tradition of appointing a king of Tory island dates back to the 6th century when Saint Colm Cille visited the island to spread Christianity to the pagan dwellers. And the ancient custom is going strong today. The current king Patsy Dan Rodgers has held the crown for 20 years. He was elected by the islanders, as is the tradition, in 1993. As king he acts as an ambassador for the island, welcoming visitors and entertaining tourists at night with story and song. Rodgers is also one of the islands painters where there is a 50 year old tradition of primitive painting, started by the English painter Derek Hill when he visited the island in the 1950s. The majestic cliffs, rugged landscape and furious winter storms all provide so much inspiration so it’s no wonder many artists call this island home. Tory Island is also home to a rich mythology. 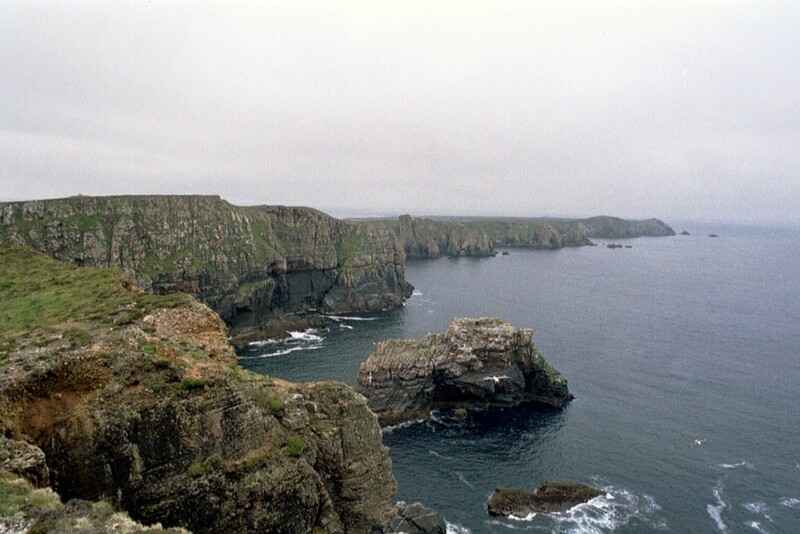 Legend has it that Tory Island was home to Balor the god of chaos and death who was one of the chief leaders of the Fomorians, a race of supernatural beings and enemies to the Tuatha De Danann. He was a gigantic brute with immense strength. In the middle of his forehead was his evil eye which wreaked destruction on all it looked upon. He stronghold was said to have been Dún Bhaloir (Balor’s Fort), an Iron Age promontory fort located on the east coast of the island. Fearing a prophecy that he would be killed by his grandson, Balor imprisoned his only daughter Ethlinn in a tower of Tor Mor on the island. But he can’t escape his faith, when Cian Mac Diancecht comes to the island looking for the cows Balor has stolen he enters the tower with help from a leanan sídhe (fairy women) and seduces Ethlinn. Together they have three sons. Outraged Balor tries to escape his faith once more by drowning the boys, but one escapes and grows up to be Lugh king of the Tuatha De Danann. Lugh, as told in the prophecy, later kills his grandfather by throwing a spear through Balor’s eye. The west of Ireland holds many jewels but only Tory Island is fit for a King. 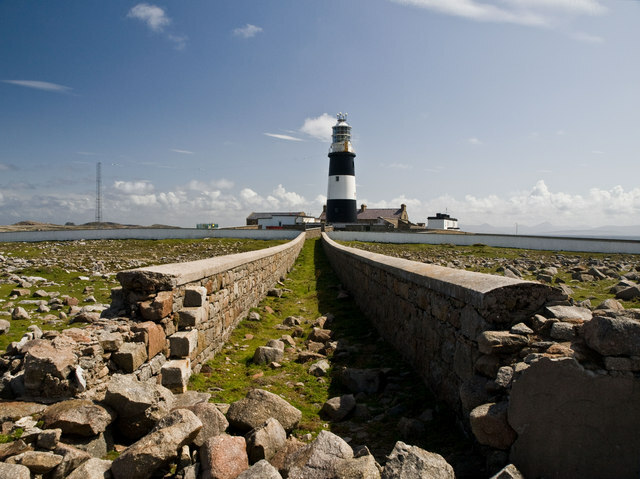 And the island is well worth a visit if only to shake the hand of a real life Irish king! The islanders are extremely friendly and know how to make visitors feel right at home. 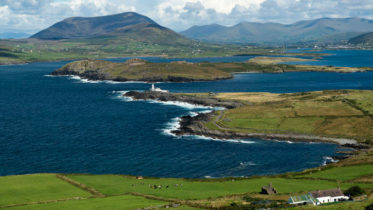 There is so much to do from reliving the legends, checking out the monastic ruins, having the craic at the nightly Céilí or spotting the rare birdlife that inhabits the island. To visit you can take the Ferry from Bunbeg and Magheraroarty, and to get a taste from real island life and make the most of the trip make sure you stay for the night in one of the B & Bs or hotels.